Muscle recovery just got easier. 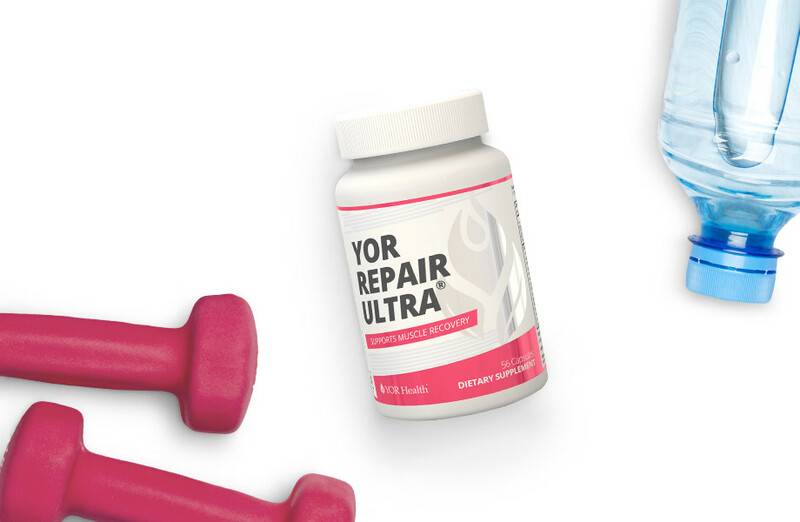 This unique formula of active enzymes can help improve many of the body’s functions, and can work with the body’s natural processes to alleviate muscle soreness caused by exercise, physical strain, or sports-related injuries. As a dietary supplement, take one (1) capsule in the morning and one (1) capsule in the evening daily and on an empty stomach. More capsules may be taken as needed. Consume with 8 oz. liquid. Do not use if safety seal is broken, damaged, or appears to have been tampered with. Persons under the age of 18 should not use without clearance from a physician. Consult your physician if you are pregnant, nursing, taking prescription medications, or have any medical conditions. Manufactured in a facility that processes egg, milk, fish, shellfish, tree nuts, wheat, and soy. Enzyme activity measured in units established under Food Chemical Codex (FCC). To report product satisfaction, adverse effects, or other comments, please call us at: (949) 681-6090. Keep tightly sealed in a cool, dry place away from moisture, sunlight, and excessive heat.